Wolfhound Century has already received a barrage of publicity and attention, yet still remains difficult to classify under any cosy subset of genre fiction today. 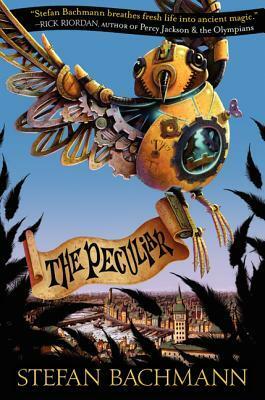 Is it science-fantasy, alternate-world history, a noir detective-thriller, or a steampunk myth in the making…? We have tree spirits, a totalitarian Soviet-style cold war society, a hard-nosed detective, nasty villains, a sundered moon, and a world â€˜beyondâ€™, as well as angels falling from heaven, and giants and golems wandering the streets, too; the latter being mechanical-style automatons usually â€˜implantedâ€™ with the brain of a dog (no kidding). So where to start? Well, itâ€™s much easier to tell you what itâ€™s not… finished. Yes, this book tips 300+ pages of large type and doesnâ€™t reach an end, nor even any form of satisfactory conclusion â€” indeed, it feels like the story has been arbitrarily cut in half by the powers that be, leaving the reader hanging, twiddling thumbs, and vexed. Of course, we are promised the second part next year (called Truth and Fear, I believe), but that doesnâ€™t stop me as a reader feeling cheated at only having half the story. 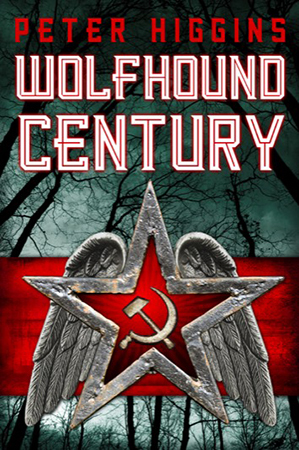 Wolfhound Century introduces us to Vissarion Lom, a hard-boiled detective who has failed to progress up the ranks due to rubbing a few too many of his bosses up the wrong way. Fair enough, you say, yet another good detective with a bad attitude and probably a troublesome past: so far, so perfunctory… But then Lom is instructed to report directly to the head of secret police, and sent to Mirgorod, and from that point on nothing is as it seems, and all bets are off as they say. Itâ€™s beautifully done, and the story deftly switches tone and pace as we follow Lom through the Vlast underworld on the hunt for Josef Kantor, a terrorist with a penchant for poetic destruction and a lot more besides. Heâ€™s not the only one with an appetite for violence, and Iâ€™d put Artyom Safran well up there with many a badass villain, not to mention his ingenuity in the face of adversity throughout. If things were that easy weâ€™d have no story, so the deeper we dig, the more threatening and violent the action becomes, and soon we are entirely buried in a fantastical city that draws heavily from Russian history and its fairytales â€” very heavily from what I gather, but thatâ€™s another story. We are also introduced to Maroussia, Kantorâ€™s step-daughter, and â€”it must be saidâ€” one of the few female protagonists in the entire book. 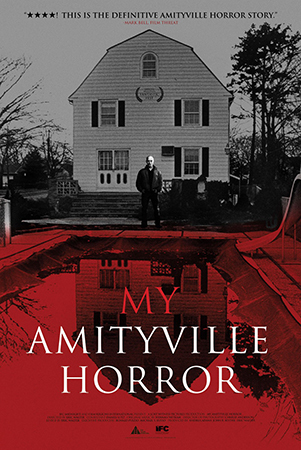 Initially she struggles to come to terms with her fatherâ€™s actions, or even to trust Lom at all, but as things spiral out of control and her life brutally wrecked, he literally becomes the only person she can depend on, forcing the narrative down a path that feels precarious yet utterly enthralling. And all the while, like a sickening disease, a fallen angel is creeping towards Mirgorod in search of something called the Pollandore, key to the promise of a better world and alternative future, but one that many are seeking to destroy, including the fallen angel, the head of the secret police, and Kantor himself, but all for reasons of their own. It doesnâ€™t get any easier to understand the nuances of the plot, but this is a lightning read, with short sharp chapters, relentless pacing, and a sparkling patchwork of destruction and misery â€” itâ€™s like a crazy painting in which the brightest colour is dark grey, and the inkwell a murky shade of black and blacker, but nonetheless, for all that, itâ€™s still a thrilling masterpiece. I remain sore at the fact that thereâ€™s only half a book here, but what a half it is… brilliant world-building, great writing, and a pace that challenges you to put it down and then slaps you in the face with a constant niggling itch to return â€” a truly excellent debut, and Higginsâ€™ writing style ensures it just keeps flowing: in merely describing something as simple as a dash through rain-soaked streets, the author leaves you reaching for a towel and shivering from the clinging damp that lingers long after youâ€™ve moved further down the page. Very highly recommended, and another book that may find its way onto many 2013 shortlists, but donâ€™t ask me to name which ones.